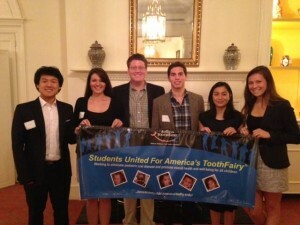 From the left: Dan Leigh (Col ’16), Sarah Lipkin (NHS ’15), Ryan Wainwright (Col ’14), Chris Halwig (Col ’15), Loyda Sarmiento (Col ’14), and Jacqui Payne (NHS ’13) attend the annual Georgetown Dental Study Club held on October 17. 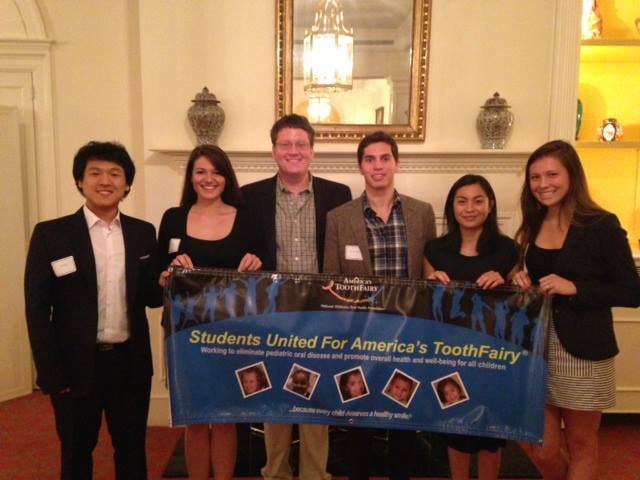 The Georgetown Pre-Dental Society attended the annual Georgetown Dental Alumni Study Club held at the Columbia Country Club on October 17. Members were able to meet alumni from Georgetown’s School of Dentistry who shared their experiences in their profession. The School of Dentistry, opened in 1971, was originally the largest private dental school in the U.S., but it closed in 1990 due to budget deficits. Followed by a dinner with the alumni, the Pre-Dental Society listened to Dr. Michael J. Will’s (D’86) presentation on the max implant, a newly developed implant model that has shown to be highly effective for immediate molar implants. Before immediate molar transplants were precluded by the instability of the root and the risk of injury on the sinuses and nerves. The max implant developed by Keystone Dental allows dentists to overcome these issues and enables immediate molar implants. Dr. Will is a board certified oral surgeon, cosmetic surgeon, and anesthesiologist. He has founded the area’s first free-standing outpatient surgery center and has his own private practice in Maryland that specialized in oral and maxillofacial surgery and cosmetic surgery. “The Dental Alumni Study Club is held every year and provides a great opportunity for students interested in the dental field to meet professionals and learn more about dentistry,” President of the Pre-Dental society Ryan Wainwright (Col ’14) said.